A previous post pondered the provenance of eBaum's WORLD and Cheezburger. Who owns them exactly, and what is the chain of possession from previous owners? So is Viumbe a Literally subsidiary? Is eBaum in transition between owners with dated website info? Or is Literally the "old" owner? Inquiring meme ghouls want to know. First, looking at the Viumbe site, it seems quite dead. It lists three sites in its media kit pdf and two of them redirect to Ebaumsworld. @celebremix stopped tweeting in 2012 and @viumbe in 2013. The sales contact listed in the media kit seems to work somewhere else now. However, the Ebaumsworld and Cheezburger twitters are still active, run by "EiC" @colbydroscher. Interestingly, Handheld was run by Google cofounder Larry Page's brother. 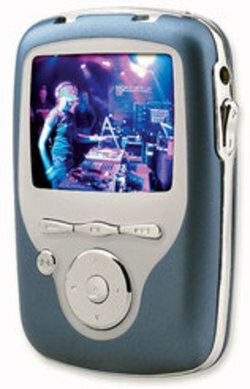 At first his company made a video/mp3 player called ZVUE, trying to compete with Apple's iPod. "Jobookit develops game changing concepts and dynamic technologies to optimize and ultimately simplify the world of online recruitment." not sure what that has to do with a meme site. One weird thing is that according to the above link, Cheezburger "joins" Ebaumsworld as being part of Literally Media, in 2016. Yet Filstein's own site and LinkedIn says Literally bought Viumbe in 2017. Confusing.